يشكل فندق Daku Resort بموقعه الممتاز في قلب هذه المنطقة الرائعة كنقطة انطلاق ممتازة لاستكشاف المدينة. يسهل الوصول إلى هذا الفندق ذو 3 نجوم من المطار، فهو يبعد عنه مسافة 7 km فقط. إن سهولة الوصول من الفندق إلى المعالم السياحية الشهيرة الكثيرة في المدينة هو استثنائي بحد ذاته. استمتع بالخدمات الراقية والضيافة التي لا مثيل لها بهذا الفندق في هذه المدينة رائعة الجمال. لضمان راحة ضيوفه، يقدم الفندق الخدمات التالية: واي فاي مجاني في جميع الغرف, أمن على مدار 24 ساعة, خدمة التنظيف يوميًا, خدمات بريدية, خدمة سيارات الأجرة . تتضمن كل غرف النزلاء وسائل الراحة والتسلية المصممة خصيصاً لضمان الراحة القصوى للضيوف. يقدم الفندق مجموعة واسعة من وسائل الراحة المتنوعة، كمثل: قوارب, كنو, مسارات المشي, تأجير معدات الرياضات المائية, غرفة يوغا. إن كنت تتطلع إلى إقامة مريحة وهادئة في المدينة، فستجد في Daku Resort بيتك الثاني. GOOD STAFF, THE OWNER REALLY NICE! Complained about hot water but wasn’t attended to. Balconies weren’t cleaned. Overall overpriced but poor services. Will not be spending my money at this resort ever again. There was a rat in the toilet bowl in the room. If that wasn’t bad enough, there were roaches crawling all over the hotel room & on the spare single bed. This Resort charges are ridiculous for a dirty hotel room. We apologize that the resort was not to your standard and for the issues you had during your stay. I find it odd that after your review you still decided to come and spend another 10 nights at Daku. It would have been great had to opted to see management about the issues on the first and second stay. Nevertheless we have taken your comments about the cleanliness of the rooms you stayed in and hope you do come and stay with at Daku again. Nothing in Fiji is truly budget, but this was the best deal on a comfortable resort with an AMAZING view and access to the beach. Mattresses and bedding were very comfortable. Food is overpriced so I would recommend buying groceries in town from Max Val-u and the vegetable market. 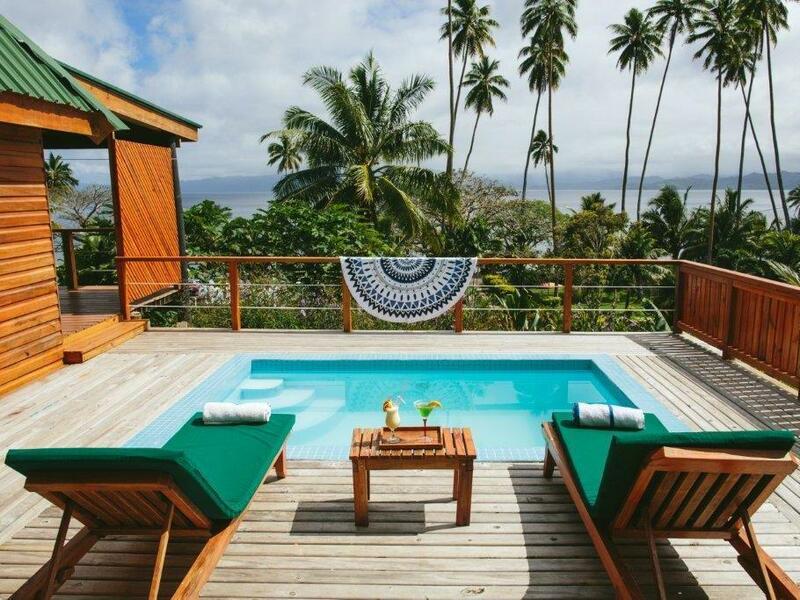 It was our first time in Savusavu and we loved it. The room was nice and clean with gorgeous ocean view 24/7. Staff were friendly and always willing to help out - they are a true asset to Daku Resort. We did not have any issues at this resort. 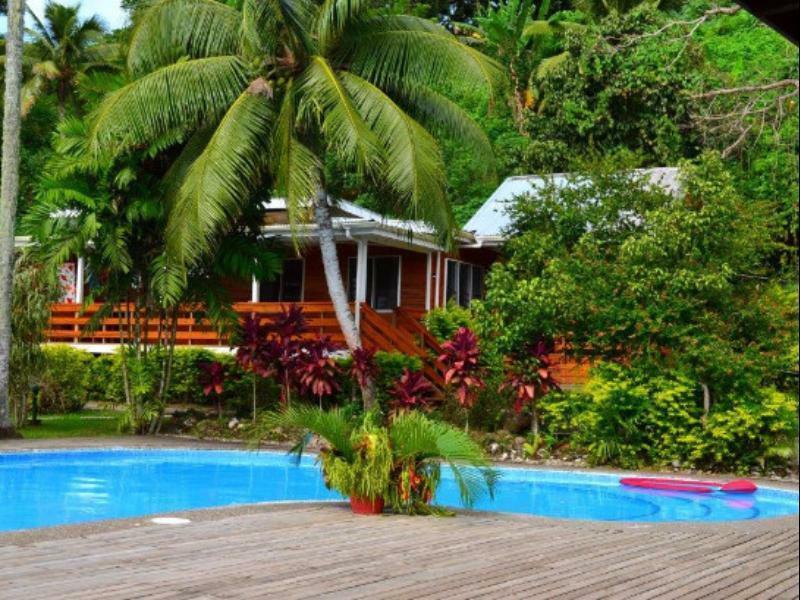 We would definitely stay at this place again and would recommend the same to anyone travelling down to Savusavu. Loved it soo much!!! 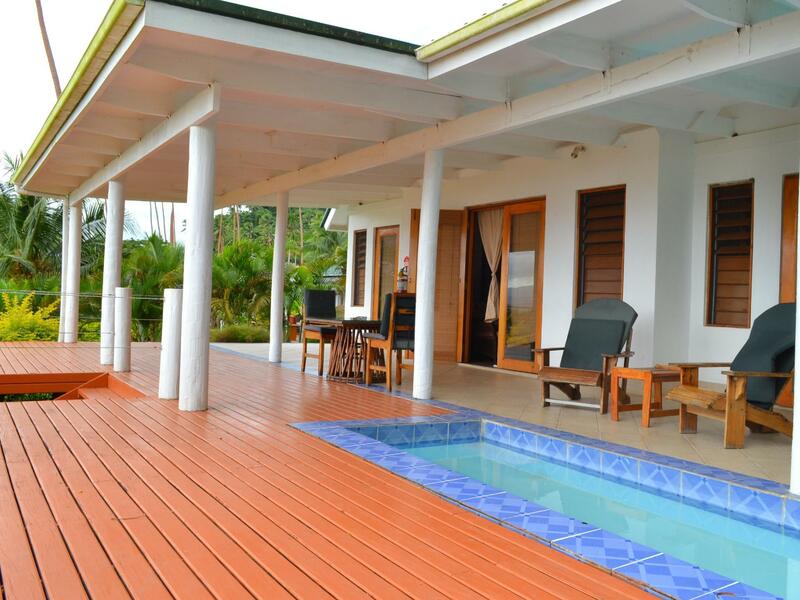 Daku was a great place to stay for our 5 days in Savusavu. We had a room right across from the bay where we could sit on the patio and watch the world go by and easily go for a quick swim/snorkel at high tide (kayaks and paddleboards were available for use free of charge). Extremely quiet and serene. As far as the food goes, we only ate dinner at the resort once, we had the indian buffet. Very tasty, 3 different curries, roti, rice, salad, and a chocolate mousse for dessert. The staff was very helpful and kind. Airport transports were provided at no additional costs. Our room was well equipped with a small fridge, electric kettle, fan, and AC. 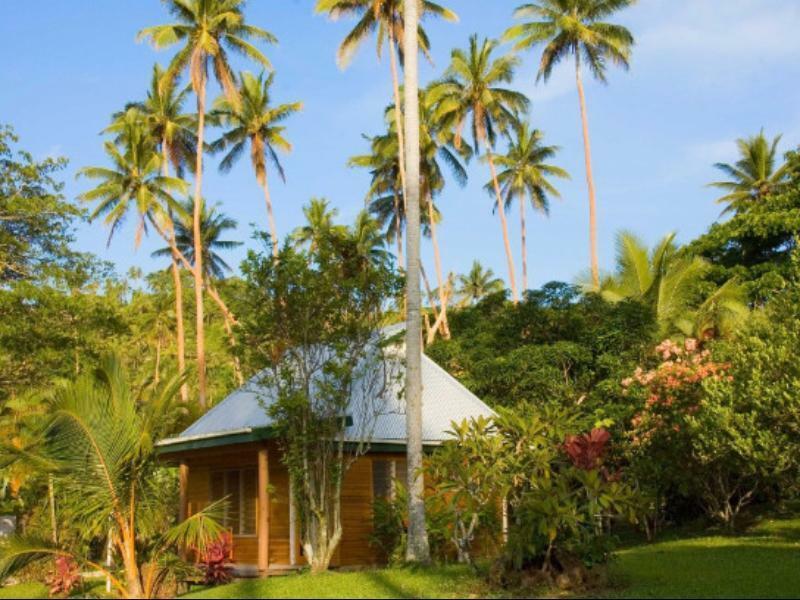 We have traveled to Fiji with a firm budget, and this was one of the best places we've stayed yet. Please keep in mind that this is not one of those high end exclusive resorts. You are in a tropical place, so it is only natural that there be a few critters around (toads, ants, misquitoes, millipedes, etc). The room was equipped with both bug spray and a misquito repellant plug in. Overall we had a wonderful experience during our time at the resort. Some activities for the guests would be great. My friend and I had a lovely few days at this chic little resort. Thankfully this place is not too big, and certainly is not pretentious! Staff are very friendly, chatting amiably to you about your day. The food served here is excellent, which is just as well as unless you have your own transport. We hired a car for the day and had a wonderful time exploring the island. I also did some wonderful diving with the resort dive base. Staff there were equally attentive, and a magnificent day was had. Overall, this resort offers good value for money - you will not be disappointed! everybody was so kind and helpfull beginning from JJ down to Seta. We really felt home. Demonstrated some flexibility in booking, which I appreicate, Helpful in aranging activities. It was awesome, Its very close to town and very convenient. If you don't want to eat in every day, very easy to access some nice places in town. Host and Staff members amazing. Exercised flexibility on check-out and booking arrangements, which was very nice. 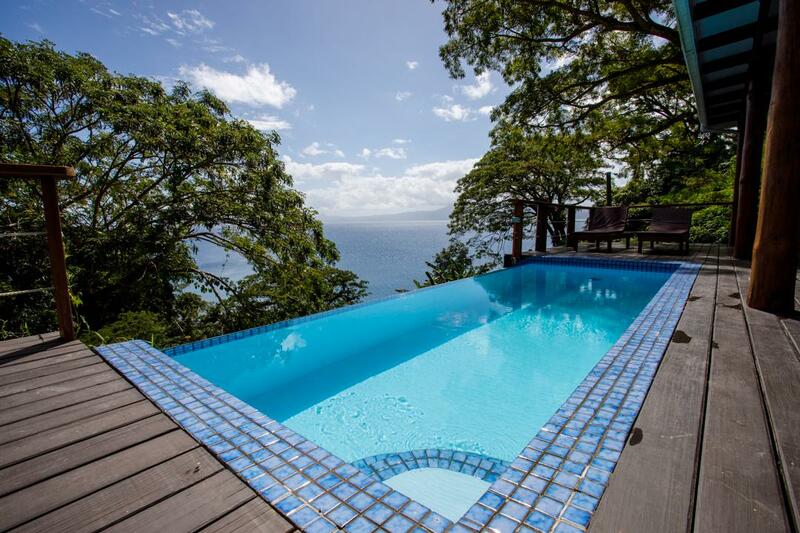 Beach house was very nice, with lot of privacy and terrific view. 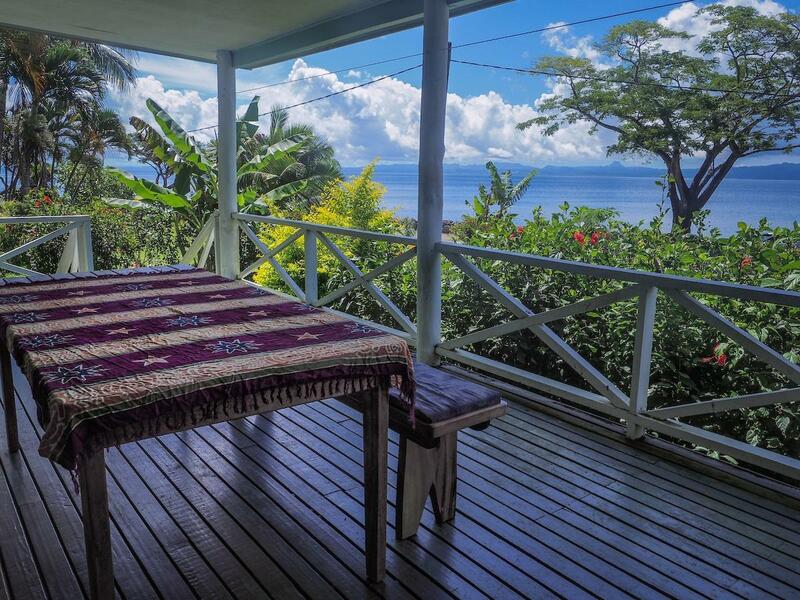 Great price for being right on the beach, nice place to do yoga at the on site yoga platform. The Bure was simply furnished but clean, comfortable and spacious. The shower was huge! The room was cleaned meticulously every day with fresh flowerheads on our beds. The outlook from the room was very pleasant with the gardens spreading from our balcony with the road and sea beyond. The food, however, is a very different story. We put up with their breakfasts for 4 days before deciding to eat out for every meal. On the day we relented, I went to order a chicken sandwich at lunchtime "In deep freeze" I was told. The only choice left (without chips) was BLT. The bacon was almost raw. It is small wonder that earlier in the week several people had been sick after eating fish - one to the point of requiring an intravenous drip. Avoid the food. In summary, the accommodation is reasonably priced and the grounds and staff are charming. Take a Bure away from the main building for quiet and definitely avoid the food. If the food had been OK then this resort would be very good value. I really enjoyed the Daku Resort. It is funky resort with a laid-back atmosphere and friendly staff and guests. 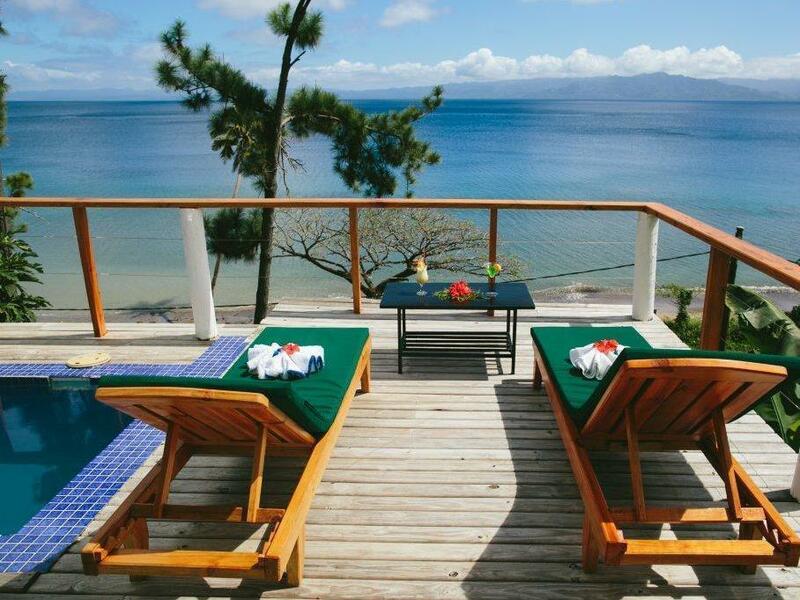 We have just returned home from a wonderful trip to Savusavu Fiji, where we stayed at the Daku Resort. We thoroughly enjoyed our stay at this lovely resort. The staff were very friendly, accommodating and helpful, nothing was too much trouble for Raj and Keni. The resort owners John and Dehlia were delightful and were there to greet us on arrival and personally saw us off at the airport on departure, which added a lovely personal touch to our visit. 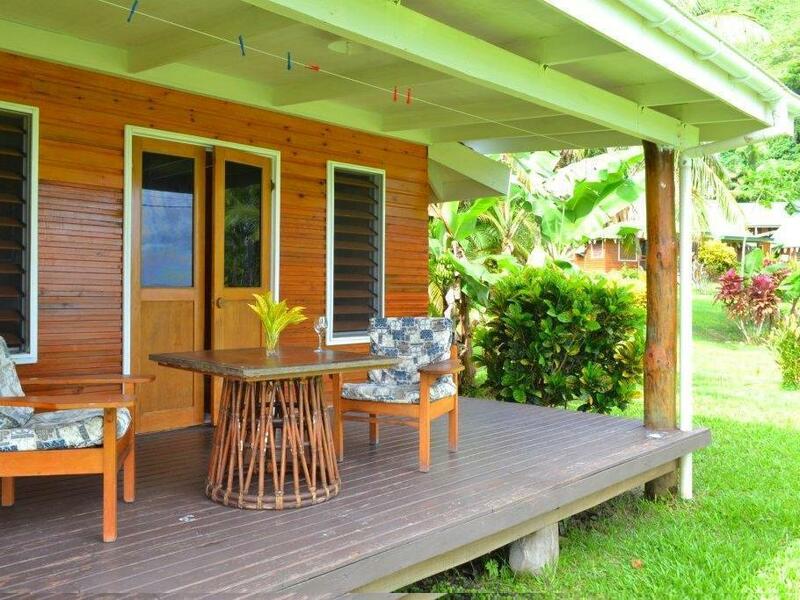 Our bure was very nice, simple and clean, with ocean views. The resort ammenities were great, lovely pool and deck. Meals were delicious thanks to Merioni. 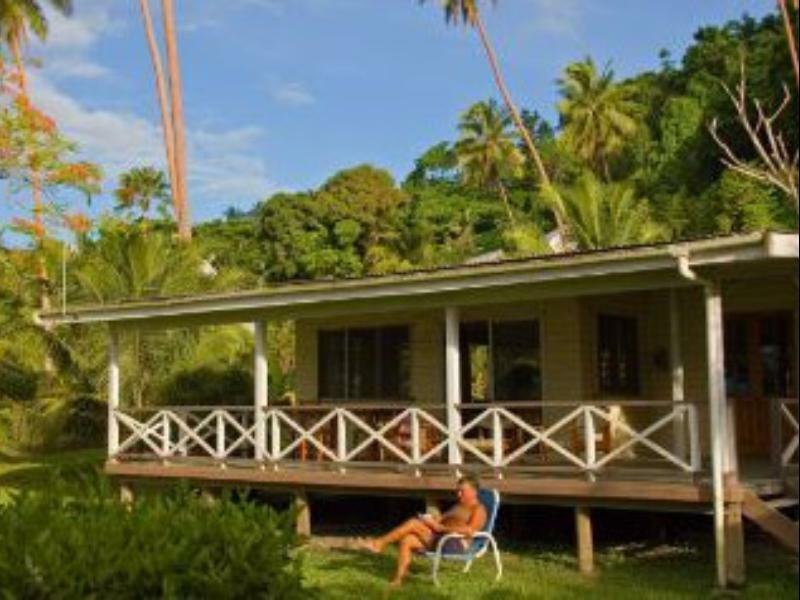 The location was idyllic ( lush rainforrest to the back and ocean to the front) and only a short taxi ride to the town centre or a couple of k's leasurely walk. We will definately stay here again on our next visit (which I hope will be soon). We stayed 4 nights in a 2 bedrooms villa with airconditioning with a fully furnished kitchen. The villa have a very small pool at the side of the porch. A good view of the sea. There are many millipede crawling into the room so make sure that this tiny insect did not crawling onto your bed. Overall this resort is very quite and it is a good for those who need to relax.